Fairmont is an artist very representative of a certain kind of producers operating in the dance music world. The kind who was listening to more alternative and traditional rock pop music in their youth before entering the world of electronics. It's only fitting then that his latest release comes courtesy of Days Of Being Wild, a label which roots are firmly anchored in post-punk and new wave music, not so far from Border Community, a label Fairmont worked extensively with in the early 00's and which releases boasted a serious nod to the shoegaze and post rock genres. Fairmont (real names's Jake Fairley) is an expert at blending, bending and reinventing his musical roots, fitting them into an electronic framework and managing to produce some of the finest techno out there. Because Fairmont's music is techno in its essence, it's looking forward, it sounds futuristic and it really makes you want to dance (ask the 20,000 people who bought his Gazebo 12 back in 2005) In the last few years, Fairmont's music has taken a darker and more twisted turn and this is what you will find here in this EP released on Days Of Being Wild. Obsidian' and Onyx', are two gems glittering in the darkest of clubs, under black strobes and icy blue lights. Drenched in robotic grooves and ghostly melodies this is dance music to loose yourself to, dancing and dreaming at the same time. 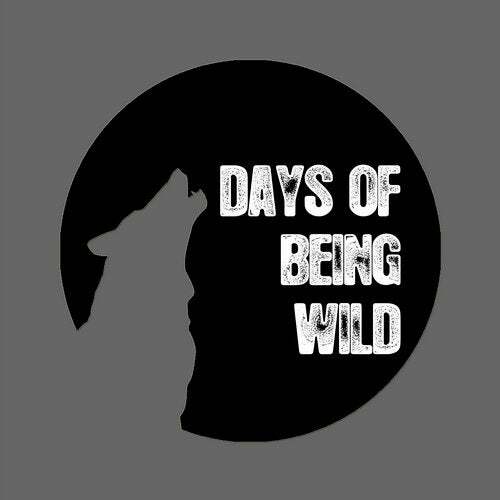 The original mixes are in good company with two remixes, courtesy of the mighty Heretic and Days Of Being Wild co-owner Samuel Berdah. Heretic's version of Obsidian' tones down the atmospheric side of the original and nudges the techno up, propelling the track towards a harder hitting edge. Samuel Berdah's remix with its syncopated beat and its batcave bass line sounds like an electronic Bauhaus. All ghostly atmosphere forward and eery melodies out, he brings out the strange gothic beauty of Onyx.